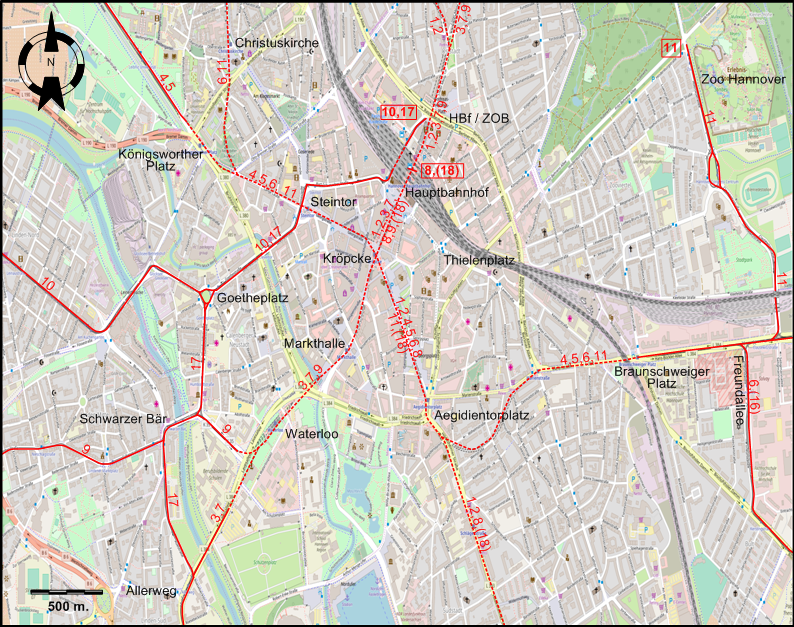 The Hanover network after extensions to Altwarmbüchen (2006) und Misburg (2017), and the closure of the surface tramway between the Hauptbahnhof and Aegidientorplatz. 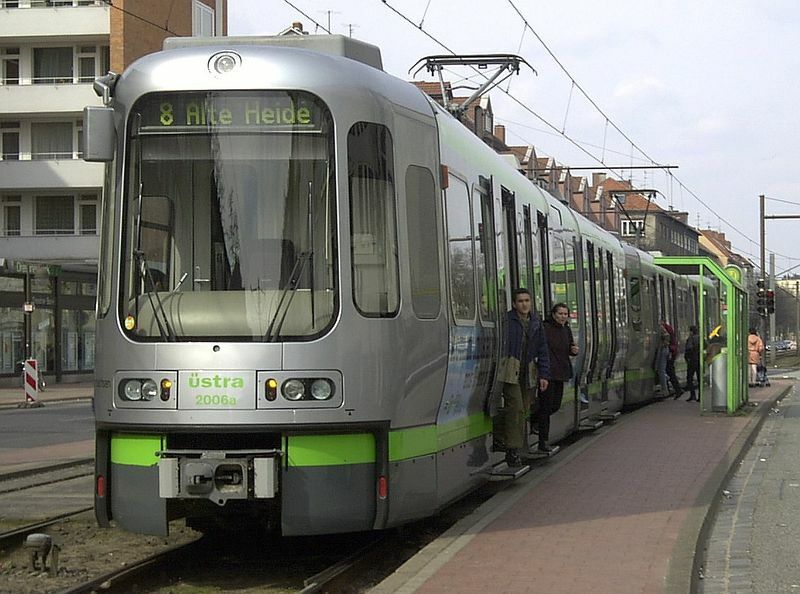 Tramway / Stadtbahn: 122 km. Horse tramway: 14 Sept. 1872 - 1897. Electric tramway: 1893 - today. Stadtbahn (in tunnel): 26 Sept. 1975 - today. Bromley, J. 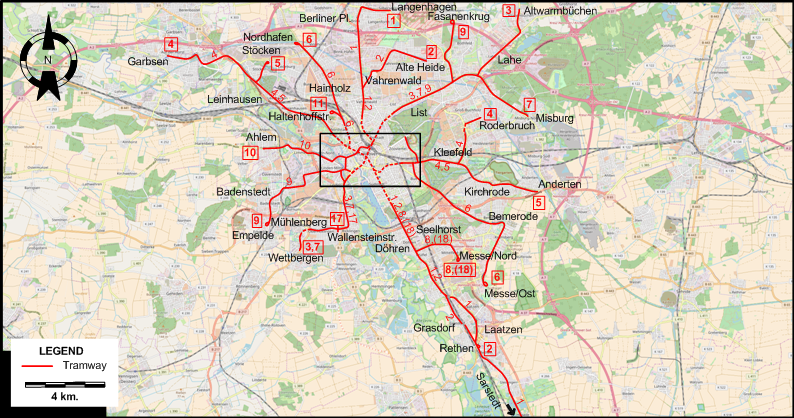 "System Factfile No.3: Hannover, Germany", Tramways & Urban Transit, Sept. 2007 (71: 837), p.347-349. 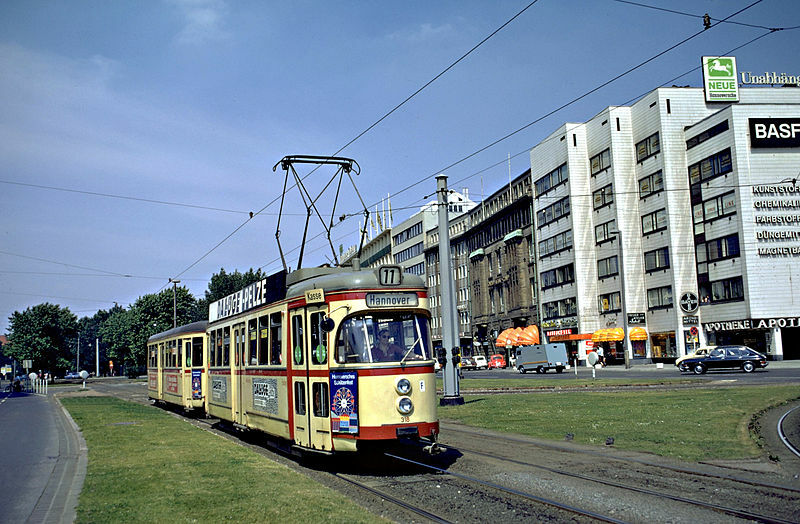 Buckley, R.J. "Post-war Hannover - Part 3: The Stadtbahn", Modern Tramway & Light Rail Transit, July 1981 (44: 523), p.229-237. Taplin, M. & Riedel, H.U. 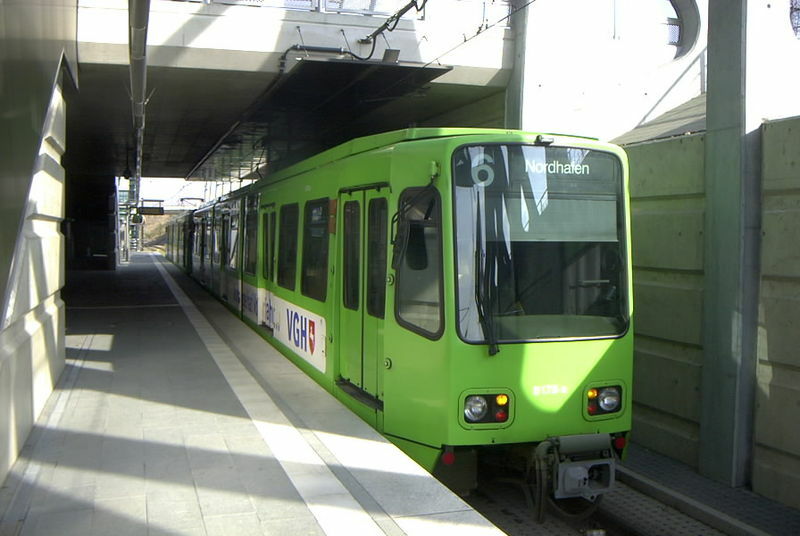 "Hannover gets ready for Expo-2000 show", Tramways & Urban Transit, March 1998 (61: 723), p.99-101. Wyse, W.J. "Germany goes underground - No.13: A trio of new subways (Bonn, Bochum and Hannover)", Modern Tramway & Light Rail Transit, Sept. 1980 (43: 513), p.306-317.